Many financial institutions fail to identify contact centers as the root of fraud loss, but fraud rings recognize banks’ weakest link. Boston, April 27, 2016 – Armed with breached data and social engineering tactics, organized fraud rings are probing financial institutions for the information they need to access customer funds, and the point of least resistance is often the contact center. 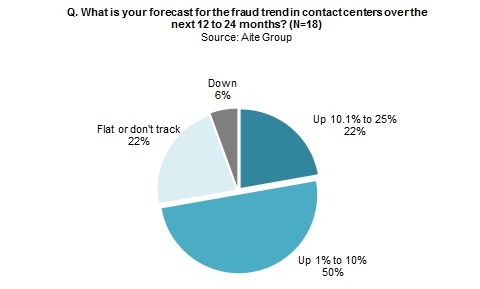 Account takeover fraud is so commonly enabled through the contact center that it should be renamed the cross-channel-fraud-enablement channel. But can technology thwart these threats? This research presents the current environment and examines data breaches’ and EMV’s effect on contact center fraud. It is based on Aite Group interviews with 25 executives at 18 of the 40 largest FIs in the United States by asset size. This 29-page Impact Report contains 15 figures and four tables. Clients of Aite Group’s Retail Banking & Payments service can download this report. This report mentions Agnitio, Auraya Systems, Authentify, Cellmax Systems, Convergys, CSIdentity, Danal, Early Warning, Equifax, Experian, LexisNexis Risk Solutions, Natural Security Alliance, Nexmo, Nice Actimize, Nuance, PhoneFactor, Pindrop Security, Socure, SpeechPro, TradeHarbor, TransUnion, TrustID, ValidSoft, Verint, Voice Biometrics Group, VoiceTrust, VoiceVault, Voxeo, Zumigo. Identity Theft: It Could Happen to You!